The other day I had a profound dream—the kind that makes you feel as if your soul is trying to talk to you, but can't get your attention any other way. 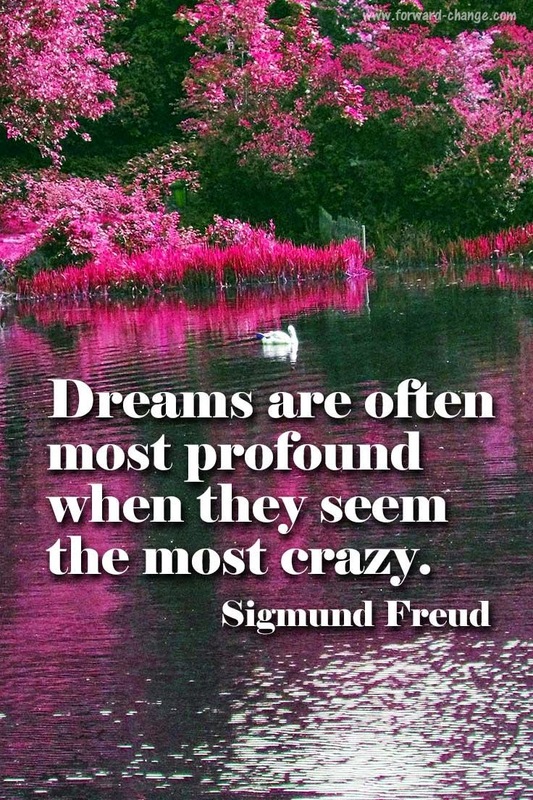 Okay, I'll admit I'm the type of person whose dreams are so vivid, I still remember one I had when I was five years old. And there were several that came to me when I was eleven that I felt were prophetic for the course of my life. Yeah, I'm woo-woo that way. I'm that spooky friend who calls you up & says, "You know, I had a really powerful dream about you last night & I think it's meant to tell you something about your future." Recently, I even dreamed a friend of mine was in a bookstore signing her debut novel with posters hanging everywhere of the beautiful cover. I hadn't chatted with her for about a year, but the dream was so vivid I simply had to email her to tell her success was around the corner. Her response? She had decided to quit writing that day! 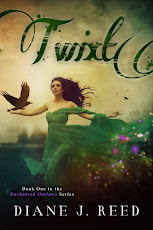 The angels must have been tapping me on the shoulder with this message, because after I gave her that boost, she finished her debut novel in only a few weeks & sold it to a major publisher for six figures! So yeah, I guess you could say I believe in listening to your dreams. But sometimes my dreams bring messages for me. In my latest one, I had walked into a turquoise shop in the Southwest that sells heirloom pieces of jewelry & Native American artwork. 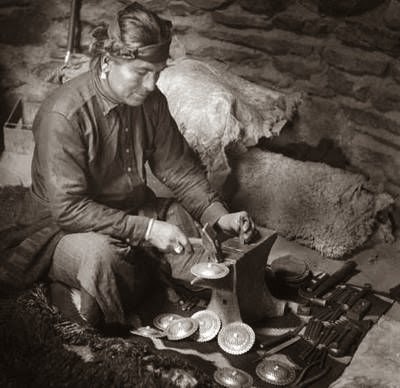 A small group of Navajo artists & silversmiths were there having lunch. They greeted me kindly & offered me a meal, happy to chat about their wares and their day. The problem? I couldn't hear them. In my dream, the shop was very humble, yet the walls were surrounded by high tech gadgets—computers, ipads, stereos & plasma TVs—blaring music, news & videos so loudly I couldn't catch a word the Navajo were trying to say, much less enjoy listening to them describe how they create their artistic works. Frustrated, I began running around the shop trying to find the off switches & wires to unplug all these confounded devices. Finally, one of the men turned to me and said with a gentle voice, "Come back another day when your heart can hear." I woke up slayed. To me, it was pretty obvious what my dream was trying to say. With all of the high tech devices & social media we have competing for our constant attention, it's so easy to get caught up in the electronic whirl & lose touch with the people we love & the whispers of our souls. 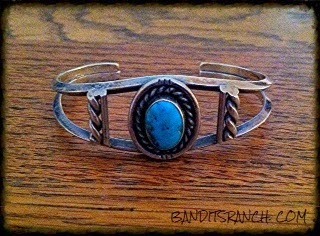 And as I got out of bed that morning, I realized I was still wearing one of my very favorite turquoise bracelets. Yes, I know it looks rather ordinary with its humble design & modest-sized stone, but it's by far one of the most valuable pieces I own. It was the first piece of jewelry given to me by my mother, who bought it directly from the Navajo on a reservation in the 1970s in Arizona. The stone at the center came from the renowned Kingman mine, which produces "Kingman blue"—an intensely blue strain of nuggets with a black matrix that often flashes silver, which comes from a rare vein in Ithaca Peak that has been exhausted since 1972. These stones are so vibrant & distinctive that I've had turquoise collectors stop me on the street & ask to buy it. Why? Because I consider this bracelet a "Soul Gem." A rare article in my possession that connects me not only to my mother but also to the spirits of those who created such artistry in the Navajo tradition. And yeah, call me woo-woo, but I believe these special items carry with them the positive energy from those who came before us, acting as conduits of their love, trust, guidance, and comfort. It doesn't matter if these items are made of stone, metal, paper or wood, or are considered worthless to other people. What makes a Soul Gem special is the place it occupies in our hearts—and its unique ability to quiet our spirits & help us listen to our souls once again. 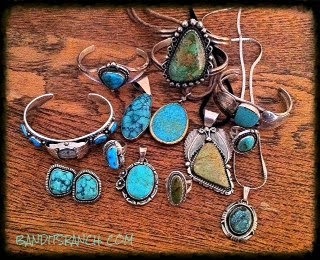 I have many other pieces of turquoise jewelry (I'm a bit of a hoarder, as you can see from this small sample above from my collection), but price never dictates value to me. True Soul Gems carry an energy of love & wisdom that far exceed their humble appearances. So for me, an army medal of my father's, an old perfume bottle that reminds me of my mother's scent, a poem written on a napkin by my twin sister when she was 14—these are the Soul Gems that I will treasure forever. One of my favorites is a threadbare copy of The Celtic Twilight by William Butler Yeats that's yellowed & torn, with dozens of underlines & dog-eared pages. It's the small book I've often taken backpacking with me to read at night by flash light. Why is this volume so dear? 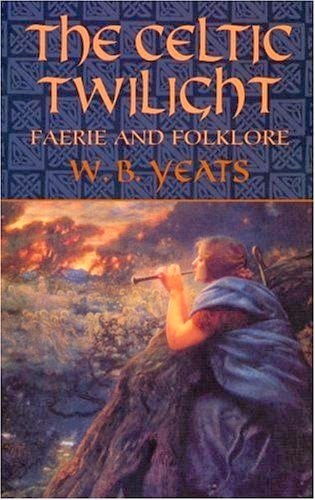 Because the famous poet took it upon himself to canvas the Irish countryside in the 1920s to record the rural people's stories of their experiences with fairy lore & magic before their stories died out, and then translated them from Gaelic to English to preserve for posterity. The stories are so beautiful & raw that they always touch my heart. And for me, even the act of holding this book in my hands is something sacred that invites centuries of enchantment & wisdom to penetrate my soul. I feel such a book helps me step away from the distractions of daily life & encourages my heart to "hear" better, just like the Navajo man mentioned in my dream. What a beautiful post on your Soul Gems, Diane. 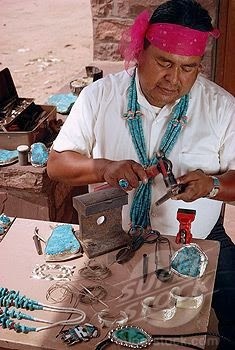 Your turquoise jewelry is stunning. 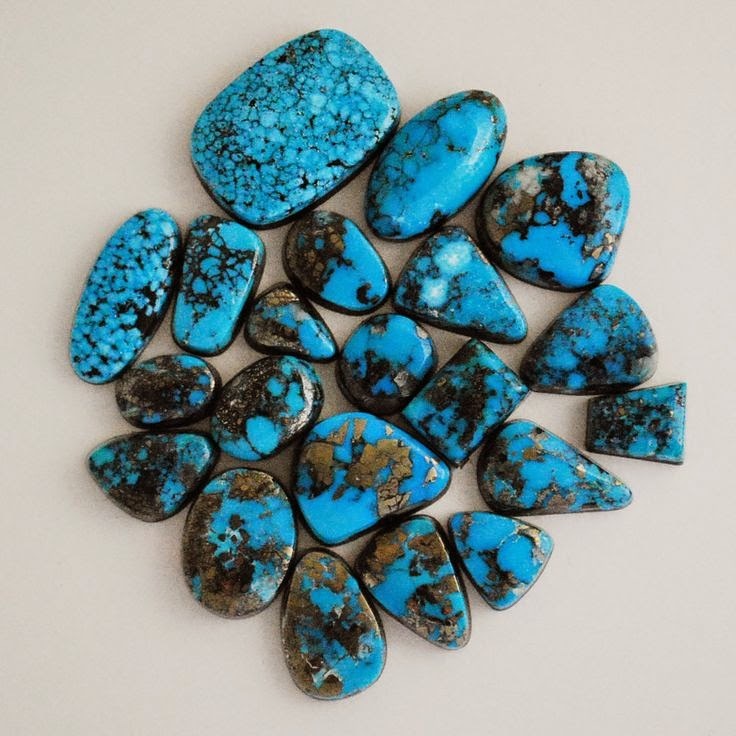 You probably know that turquoise is an extremely powerful protection stone but it also is wonderful for communication, creative expression (writing and speaking in particular), and seeing the beauty in everything. 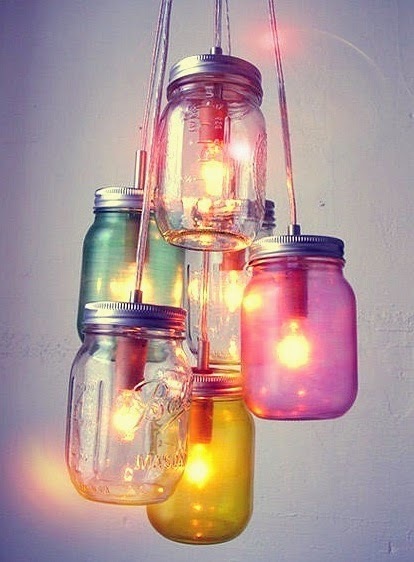 It also aids in meditation and spirit contact and brings clarity to see your path! So it is no surprise to me that you had such an important dream while wearing your special bracelet. One of my Soul Gems is my peridot birthstone ring that my maternal grandmother gave to me when I was seven. That was her tradition that she followed with each of her granddaughters (and recently my mom emulated with my daughter). Green was always my favorite color to begin with, and I feel that besides the wonderful properties that the peridot has to help me, my grandmother's soul is also connected to the stone to help me when I am wearing it. Thank you for such a lovely, enlightening post. Turquoise is also sacred to Het-hert (Hathor) in the Egyptian pantheon. Het-hert is the Sacred Cow, one of the mothers, the Lady of love and beauty. Interestingly, she is the ONLY Egyptian god to be portrayed with her face full-on. She tops the columns of her temple in Dendera. And lemmetellya, when you look up at those column finials, they look back at you. She sees you, and she knows you. You can't fool Mom. She is sweet, gentle, musical, and powerful, but don't mess with her, either. That great love, when confronted with injustice, is what transformed her into Sekhmet, the lioness, who ravaged the wicked of Egypt and was only sated when they filled the Nile with enough beer to get her drunk enough to calm down. They had to dye it red to make it look like blood.